Granite comes in three basic patterns: solid, marbled, and speckled. Solid-looking granites have little variation in pattern. Instead, they maintain one similar look overall. This is a good option for small kitchens where busy-looking surfaces might make a room feel small. Granite is a durable and versatile stone that is ideal for kitchen countertops. Its natural variety of colors and textures allow you to create a unique look in your kitchen. Granite is generally installed in stone slabs with few or no visible grout lines. This can be very expensive -- both for the material and the labor to install such large, heavy pieces. 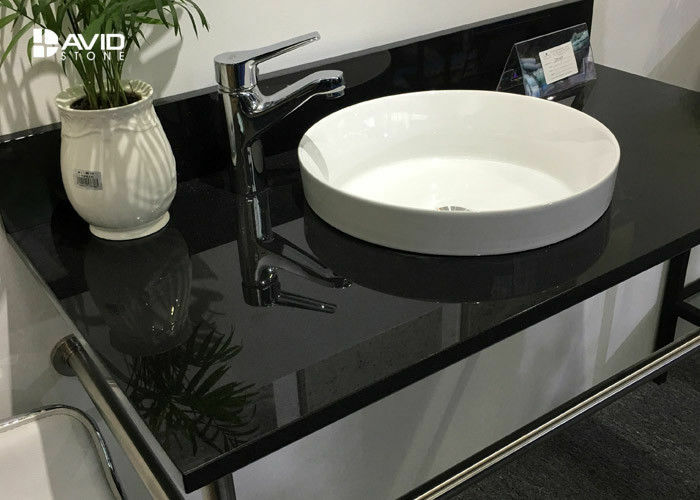 The granite surface is coarser and its hardness is second only to diamond, which is mainly composed of quartz, ortho - feldspar and mica. It is very suitable for large friction places. It is hard because it is slow to crystallize and intertwined like a magic cube. The subtle change in color of granite is that artificial stone can not be imitated, and the color changes with the change of light. Its colors, spots, or other styles run through the whole granite, and the artificial stone has only one surface, so the characteristics of each stone are different. The granite in the heat-resistant stone can be counted as one. Even if the heated pot is placed directly on the table, it can not leave any trace on the table. And its heat dissipation is also good, not because of the temperature difference and the phenomenon of bubbles or cracking. Because of the texture of granite, there is no pore on the stone, and it is not easy to breed bacteria, dirt, mould and mildew. However, in the use of granite tiles, the mud crevice on it still has a problem of mouldy and dyed. 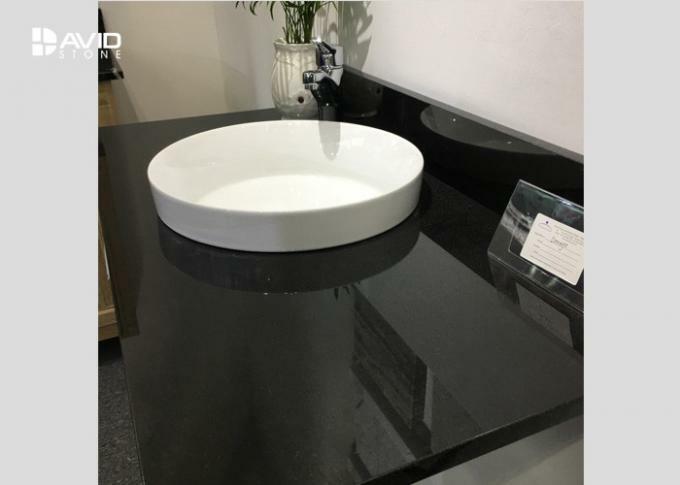 Because the pore of granite stone is not much, it can be effectively waterproof as long as its surface is polished, sub light and fine grinding. Moreover, it does not have problems of conducting and conducting magnetically, and has good shock absorption and acid resistance. Compared with its advantages, its shortcomings are relatively small. Due to the limitation of the stone, its length is not very long, so you want to lay a large area, there must be a joint, and the joint is easy to shelter evil people and countenance evil practices. 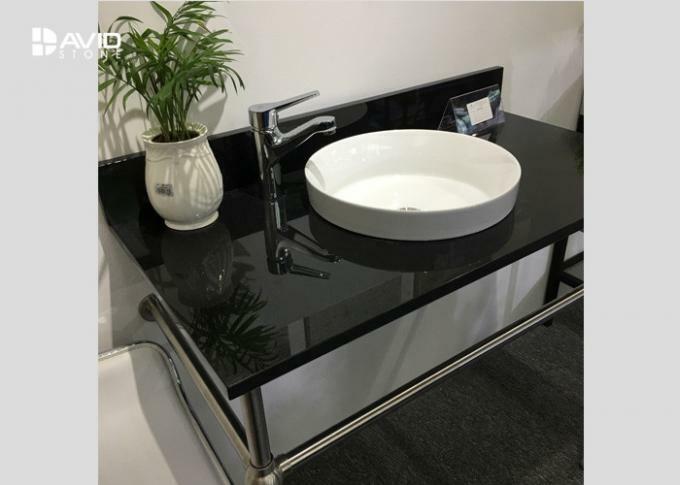 Therefore, the selection of this natural stone for table surface, in the construction of the workers should pay extra attention to the technology. 5/8"(1.5cm), 3/4”(2cm), 1 1/4”(3cm) etc.. Sink Clips Including! Attached sinks onto tops or not. packed in strong wooden crates with foamed plastic inside, reinforced with metal straps outside. G654, G633, G623, G603, G687, G664, G684, Maple Red, G682, Spray White, Tiger Skin White, China Black, Mongolia Black, Shanxi Black, Tianshan Red, Baltic Brown, Tan Brown, Blue Pearl, GX White, Black Marquina, Crema Marfil, Dark Emperador, Light Emperador etc..